I saw these pumpkins at convention and just had to make them. 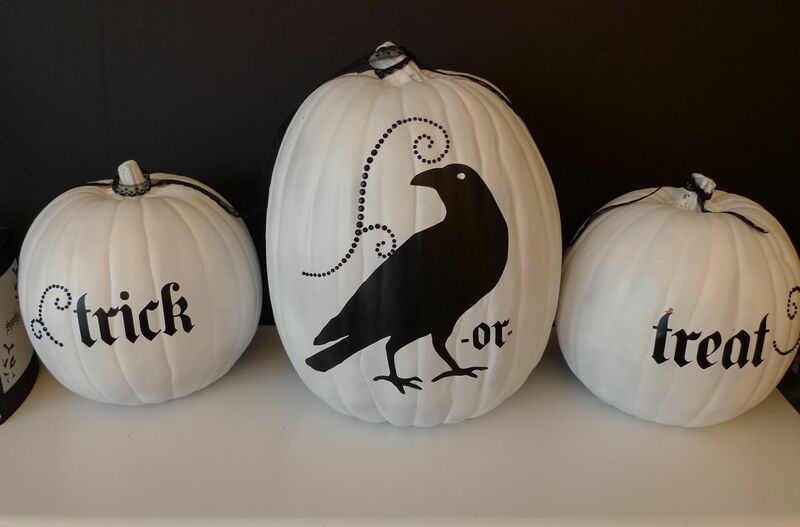 They were so easy to make with the Spooky Things Decor Elements. I spray painted my craft pumpkins white and added the decor element. Black Flourish Designer jewels were added as an accent. Raven 1/2" Lace Trim ties all the pumpkins together.